An All-Terrain Vehicle (ATV) is a vehicle that is designed to run on all kinds of terrains including snow, dessert, mountains etc. They are also known as quad bike, four wheeler, quadric-cycle. These four wheeler bikes usually come with a single seat. However, many companies nowadays are manufacturing those with more than one seat. ATVs come in different models with different specifications. While some ATVs come with less powered engines and basic suspensions, some offer powerful engines along with great suspensions and shockers so that you can not only go everywhere but also fast without losing balance. ATVs are the perfect machines for adventurous people as they allow the people to go on the roughest of terrains for a thrill and action packed adventure. ATVs are small yet tough vehicles and are really useful while working outdoors. They are also used for making short trips to the market so you would not have to take your car and worry about finding parking space or getting tickets. ATVs, however, are not street legal everywhere in the world. They are, in fact, banned from the streets in some states in the United States and in some parts of Australia. 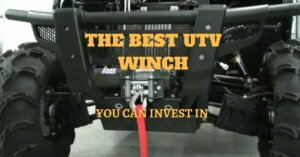 Why You Should Own An ATV Winch? What To Look For When Buying An ATV Winch? 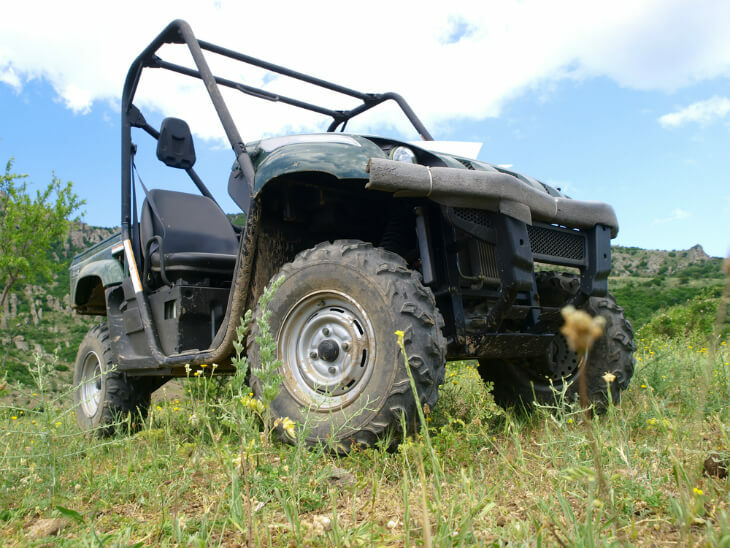 However, if you are an ATV lover or own one, you should always carry the few essentials every time you go for a ride on your ATV or else you might end up exhausted and stuck somewhere. ATVs run on low pressure tires to provide maximum road grip and stability and come with a suspension system different from those of cars. Since these machines have to deal with not only mud but also hidden deep pot holes, snow, huge rocks and steep slopes, there is always a chance that they might get stuck and trust me it is not an easy task to get a stuck ATV free. With the increased used and popularity of ATVs during the last decade, winches especially designed for ATVs have been introduced and are used by almost all ATV owners. They are used for various purposes are one of the essentials you must have if you are an ATV owner. 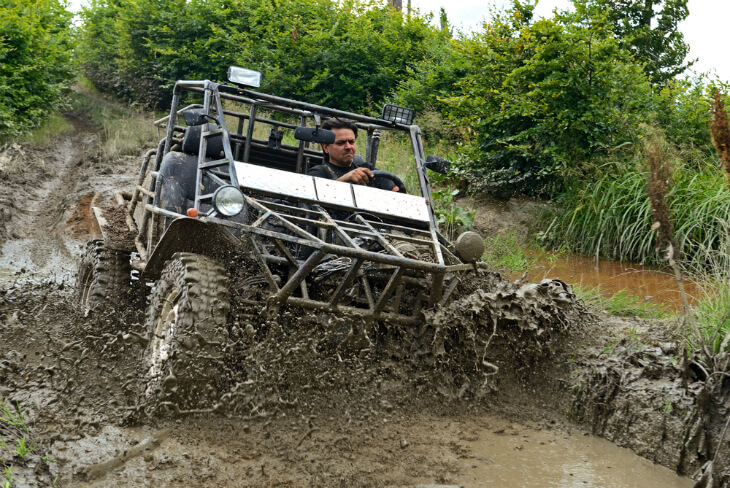 Imagine getting stuck in a deep mud hole, crawling up a steep hill or pulling heavy objects without a winch. Not only is that tough but also almost impossible. Just like the winches for Jeeps and other SUVs, these winches too are the best tools one can install in his ATV. However, the winches for ATV are a bit different from those suitable for cars in terms of motor specifications, pulling ropes etc. 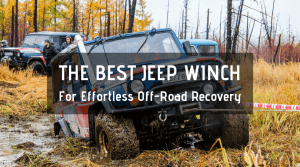 If you love taking your ATV out for challenging drives to some of the most challenging places, you should definitely consider buying a winch. They also help you tow other ATVs and even cars or pull huge objects on wheels. Also, most ATV riders are daredevils by nature and go in for challenges far greater than what their ATVs could accomplish hence getting their rides damaged and stuck. This is another reason why ATV winches are necessary as they can help both the rider and the vehicle to get out of situations like these. There are a number of ATV winches available in the market. This means you have a wide range of options to choose from so you can buy the one that not only suits your ATV but also your budget. However, the wide variety of winches makes it confusing and strenuous for most people to purchase the best winch. Just like buying any machine, getting an ATV winch can be tricky as there are some factors you should definitely consider including the material, durability, reliability and safety features etc. While we will tell you about how to check and judge each of these factors, there is one factor that you will have to see yourself and that is compatibility. Since there are thousands of ATV models available, you would have to check if the winch you plan to buy even fits your ATV or not. 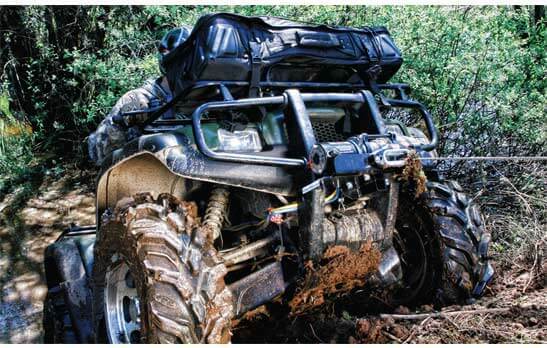 This is probably the most important factor that you should consider before buying a winch for your ATV. This indicates exactly how much weight the winch can pull. You would not want a winch than fails to pull your ATV if the weight is increased a bit if there is any cargo on the vehicle. You should always go for a winch that can pull at least 1.5 times of your ATVs weight. There are different winches with different weight pulling capacities. However, you must make sure you buy the one which can carry somewhere between 1,500 to 5,000 pounds. The more weight your winch can pull, the better it will be. Motor to a winch is what heart is to a human body. No matter how strong, weak, long or short the rope is, it would be of no use if the motor is a weak one. It is necessary that you go for a winch with a powerful motor that does not burn while pulling heavy weights. Most of the higher trim ATVs comes with powerful engines so it is better if you go for such ATVs. 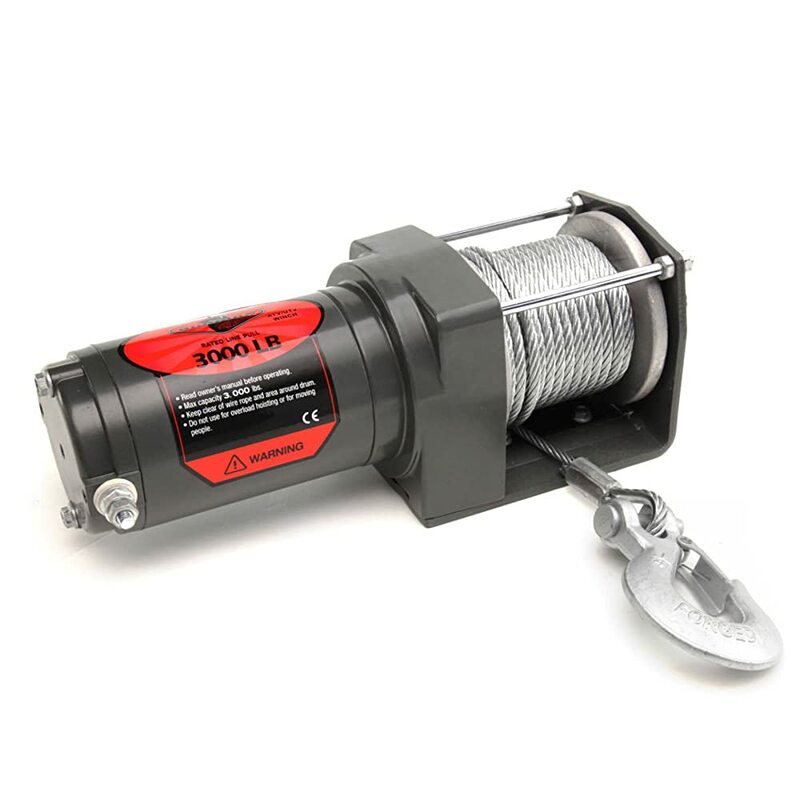 Winches come with either steel ropes or synthetic cables. You should choose between the two wisely according to your needs. Steel cables are much stronger than synthetic ones. However, they are also dangerous. It is recommended that you do not exceed the pull limits as the cable might break and cause serious damage to not only you but also to anyone else around you. On the other hand, the synthetic ropes are less dangerous and efficient. Most synthetic cables made today are highly reliable and durable. However, there are some synthetic ropes that can break due to high heat so you must check the quality before buying one. If you plan to buy a synthetic cable, you should consider buying from the latest ones. Newer winches come with advanced safety features that also include a remote. The remote allows you to operate the winch from a safe distance so that in case the rope breaks or anything goes unplanned, you will be completely safe. Other safety features include overload indicator that helps tells you when you should stop adding more weight. Moreover, winches also come packed with some other features such as dynamic breaking and circuit breakers. Prices vary from brand to brand and while some winches can cost you as low as $50, some might fetch a hefty sum of $300 from you. However, if you have to buy a decent ATV winch, which is highly durable and reliable, you should be prepared to spend around $150. Do not go for extremely cheap ones as they might attract you but can prove to be seriously. 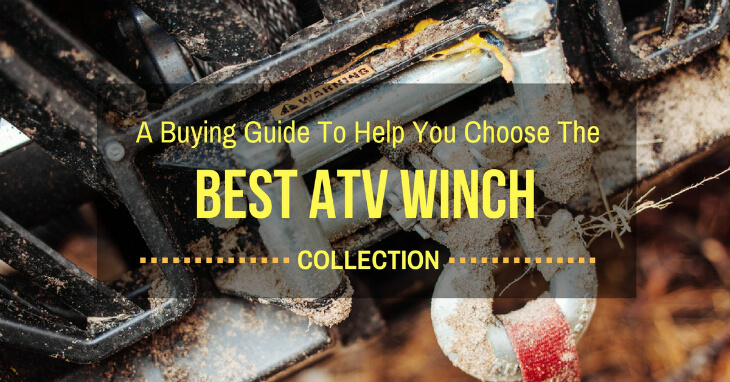 To make it easier for you, we bring you five of the best and top rated ATV winches so you can choose the ones which suit you the most and is not a burden on your pocket. The Tungsten4x4 electric ATV winch comes with an efficient 1.6 HP electric motor. This product has impressed most of the buyers as it comes packed with a number of features. Tungsten4x4 is famous for its highly durable products and has been providing such products for many years now. Tungsten is well known company in the winch and other auto-part industry. While most customers are satisfied by this product, there are some customers who had a negative experience. Some say they did not find the mounts in the package when they received it. One of the customers said he was disappointed by the package as it did not include a rolling fairlead and had to purchase it separately. Most of the customers were impressed by this heavy-duty winch and even showed quite a positive response. However, a noticeable chunk of customers did not like this product. According to one of these disappointed customers, this product did not fit on his ATV so he had to return it. Another customer said the motor burnt while he was pulling the ATV. 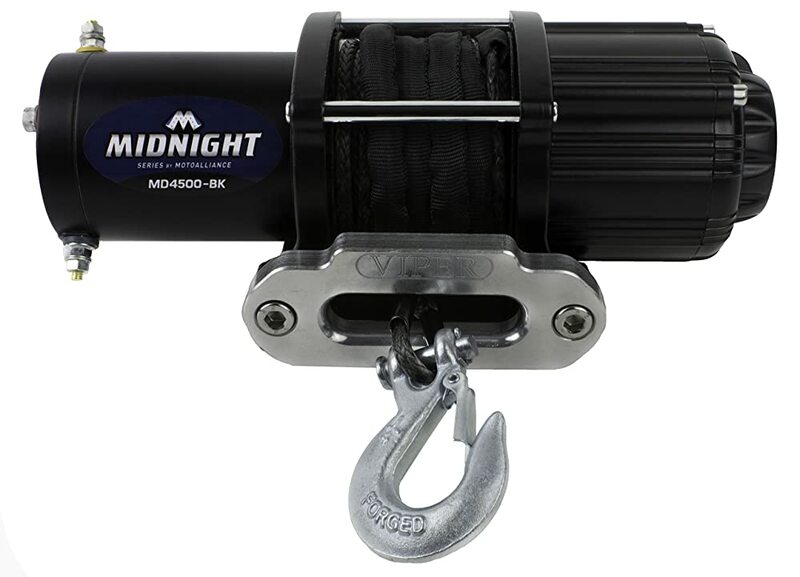 The viper midnight series is an amazing winch, which allows you to pull up to 4,500 lb of weight. This durable comes with a powerful engine that packs 1.6 horses. The midnight series also come with an affordable price tag so you would not have to worry about the budget while budget it. This machine is made to make riding ATV stress-free. Some of the buyers have not liked this winch as according to them, this winch does not provide the promised power and is not efficient. Furthermore, some customers complained about the quality of the cable and said they had to get it replaced by a new one after they broke. The Big Horn 3000 LB winch is one of the best winches you can find in the market as it not only comes with extremely powerful copper motor but also offers a number of safety features. This product has been made under strict supervision and has gone through tough checking to make sure it is highly durable and does the job easily. 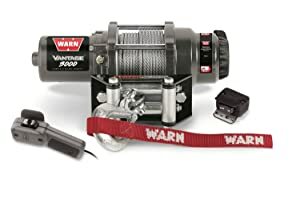 The Vantage 3000 by Warn is an ultimate winch that you can buy as it gives a great performance using its powerful motor. Majority of the customers are impressed by the efficiency of this product. It offers a number of features that are technologically advanced. Most of the buyers have shown an overwhelming response by giving this product an amazing rating. However, some customers did not like it. One of these customers said the hook broke while he was pulling the ATV and had to purchase a new one. An ATV winch is a must-have product if you own an ATV. However, as per the above given information and reviews, you must make sure you buy the winch that is durable, long lasting, cheap and gets you and vehicle out of difficult situations. A reliable winch would allow you to go on adventurous trips on your ATV without worrying about getting stuck anywhere.